Tens of millions of people around the world play games. Kids and grown-ups alike enjoy sports and pastimes. But unfortunately, when it comes to computer games, it’s really hard to come up with something new that will surprise people. Thinking about this, we noticed how quickly remote-controlled game robots are gaining popularity. We are talking robot wars, drone flying, augmented reality systems. Our gameplay is subject to the real laws of physics – gravitation, the laws of motion, illumination, unforeseen events. This is what sets our concept apart from conventional, pre-programmed computer games. People love the feeling of controlling something real, especially something that’s thousands of miles away. And the Internet is developing rapidly. It is getting faster and more accessible, opening up more and more possibilities to users. 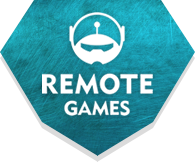 Putting all this together, in 2016 we founded the gaming startup RemoteGames, which is making it possible to remote-control game robots in arenas anywhere in the world. The project began with a team of two, but others joined us as new tasks arose. Today there are five of us – not counting the dozens of people who help us remotely. Nobody we’ve let into our dreams has remained indifferent to them. Our work can be broken down schematically into a number of streams: designing the robot technology, developing the software, and building the playing arenas. We are very ambitious, and we believe in what we do. We live and breathe it, and we put all we have into bringing our ideas to live. Every day, we come up with more plans and new ideas, and we believe in the success of our project. In a few years, we expect our platform to link dozens of playing arenas around the world. We are fully financing the project at our own expense, without calling on foundations or investors just yet. Why? We built our first playing arena by ourselves (by our own efforts), and we want to show by example that anyone who wants to, or any group of like-minded people, can create their own game world. We plan to attract investments in the near future and believe that an actual, working demonstration will be the best guarantee of our business prospects.